Several Firefly I airframes were used in development of the Mk IV, including MB649, which featured the new tail and clipped wings. One Firefly IV, TW695, was flown for a time with an experimental contra-prop. Several Firefly I airframes were used in development of the Mk IV, including Z2118 shown with the early Griffon 72 installation and wing leading-edge radiators. A production Firefly FR Mk 4 showing the final carburettor air intake form introduced with the 21st production aircraft, but without wing radomes fitted. Wing folding on the Firefly 4 and early Mk 5s was manual, requiring the efforts of a ground handling crew. 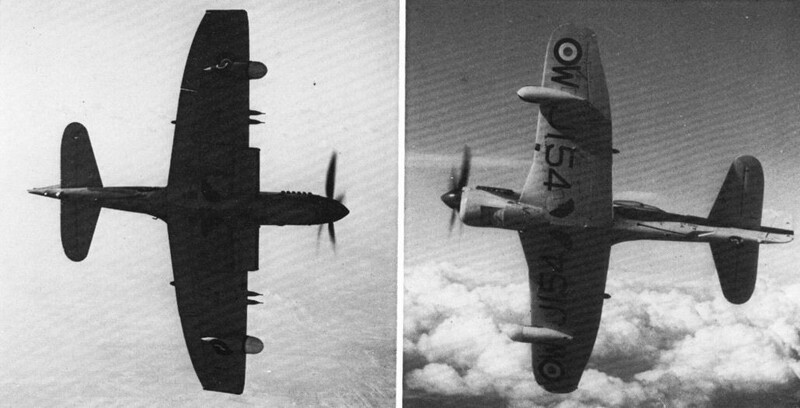 Contrasting views showing the revised wing platforms of the Firefly 4 (left) and Firefly 7 (right). 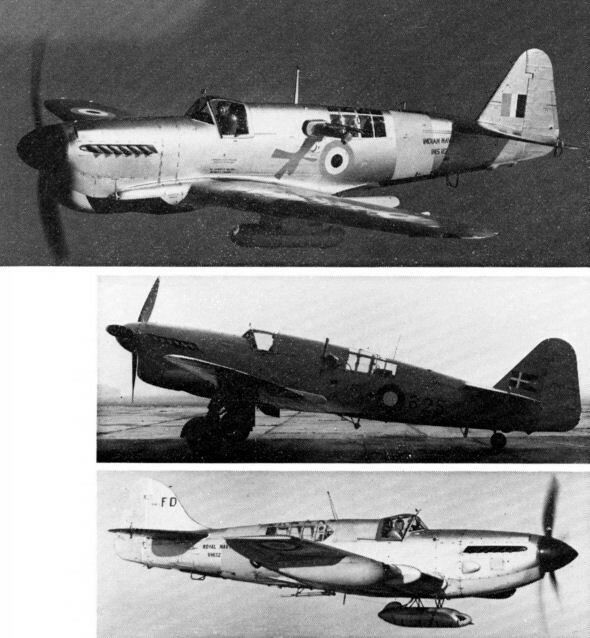 The Firefly AS Mk 6 was externally similar to the Mks 4 and 5 apart from deletion of the wing guns. All armament was carried externally on wing racks. The first export order for Fireflies came from the Royal Netherland Navy, which bought Mks 1, 4 (photo) and 5. Other foreign customers included Thailand. Other foreign customers included Ephiopia. 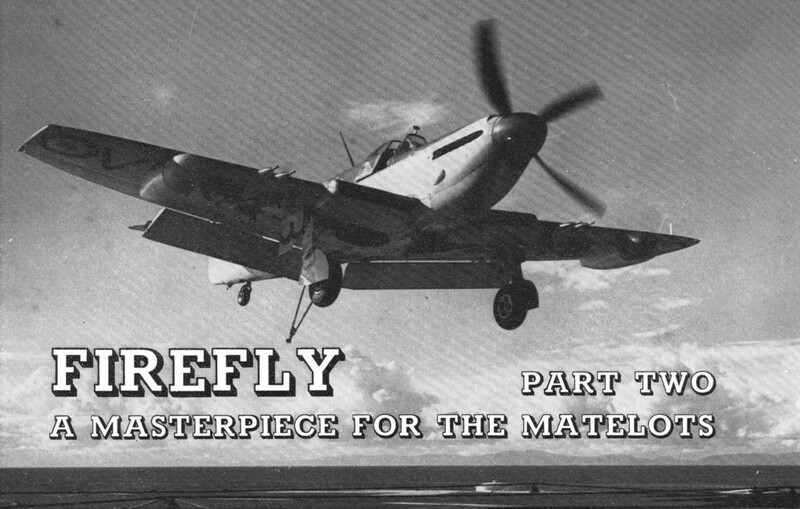 Final production versions of the Firefly were the T Mk 7. Final production versions of the Firefly were the U Mk 8. Last mark designated was the U Mk 9 drone conversion. Target-towing versions (top to bottom included the Indian Navy TT Mk 1, Royal Danish Air Force TT Mk 1 and Royal Navy TT Mk 4. The original Firefly Trainer used as company demonstrator. The first exported trainer, a T Mk 2 for the Netherlands, converted by Fairey. One of the Ethiopian Air Force Firefly trainers. The Royal Australian Navy training conversion of a Firefly 5. Principal variants of the Firefly.